Over at A Blog Named Hero we have a new challenge, and it was to make a one layer card. I came so very close to meeting that challenge. Yes, I failed. Ha! I just couldn’t come up with any other way to get a greeting on this card, and I loved the background so much that I couldn’t change it to make it one layer. 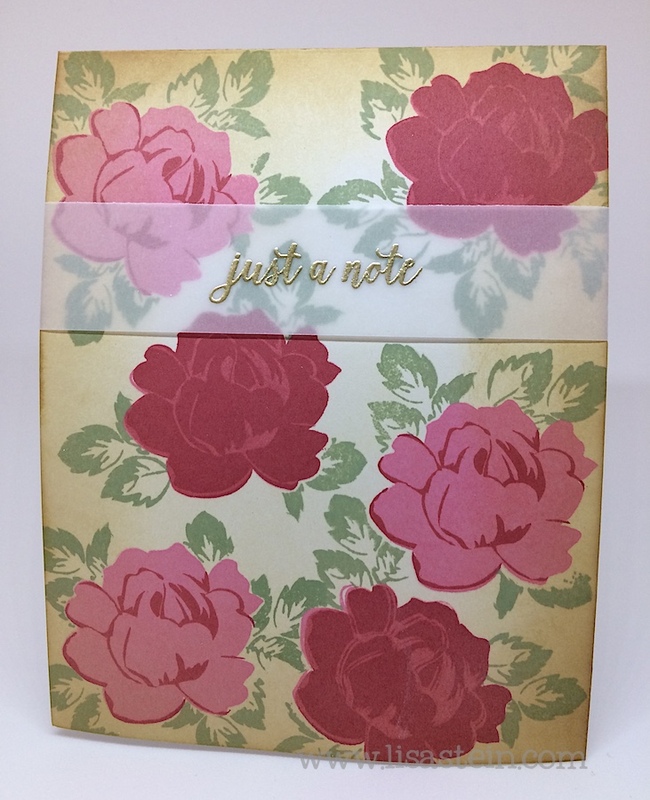 Using the Altenew Vintage Flowers stamp set, this card practically makes itself. Honestly. Those stamps are just wonderful, and they make making cards incredibly easy. I stamped some of the solid flower images in Hero Arts Bubble Gum ink, and the others in Hero Arts Red Royal ink. Then I took the top layer detail image and stamped using the opposite color. I love how the bubble gum ink still shows up over the red royal. A happy surprise. Here’s a closer look at that. I used the coordinating die set to cut out a mask, and lightly adhered it down over the flowers to stamp the leaves. After that I sponged Distress Antique Linen and Vintage Photo over the entire card to give it a vintage look. 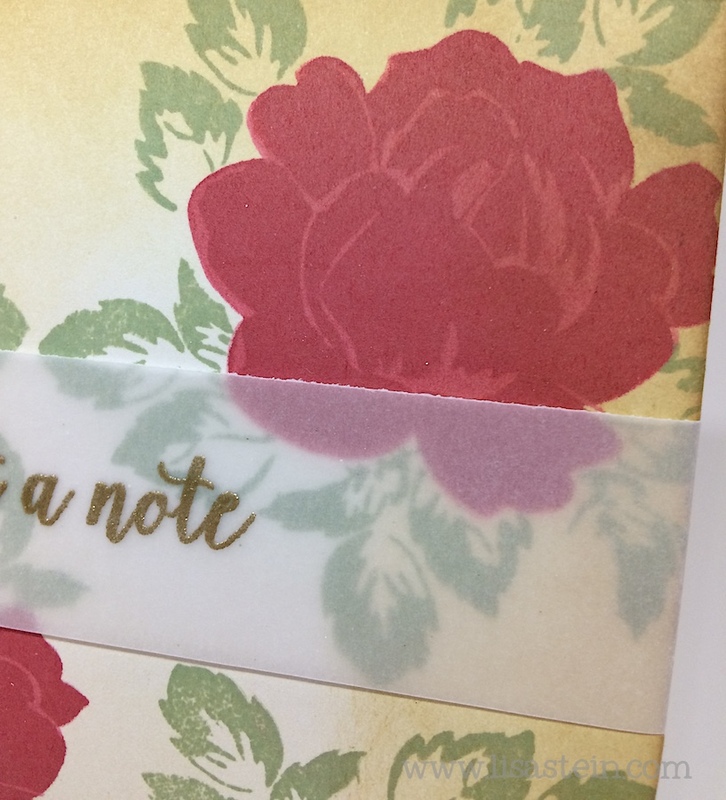 I gold embossed a sentiment on some vellum cardstock and then adhered that to the card front. A very simple card to make, but I do love how it turned out. Exactly as I imagined it would, which doesn’t happen often at my craft table. I hope you’ll join us in the challenge. Our lovely sponsor, Simon Says Stamp is offering a $25 gift card to the winner.